An annual website content audit keeps your site fresh and ranking well. When you know how to do a website content audit properly, you’ll get useful insights to improve your content strategy. A thorough website content audit is labor intensive, and it’s important to have a strategy in mind beforehand, otherwise the audit can go on for days and ROI can dissolve. When deciding how to do a website content audit, it’s important to know what you’re looking for. This will help to decide the size and scope of your audit, and keep it from getting out of hand. What pages should you focus on? Which goals you choose will help you decide how to do a website content audit. For example, if you want to improve organic traffic, SEO will be your main focus. If you have good traffic but high bounce rates, you’ll want to improve the content quality. When you choose how to do a website content audit, you’ll know what data points to focus on. 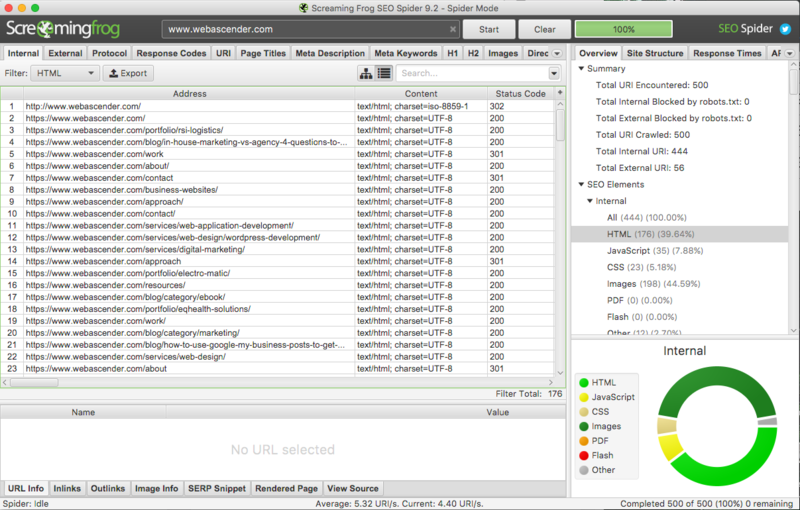 First you’ll need to inventory your site content using a crawler like Screaming Frog or SEMrush. These tools will give you SEO data on each page like titles, meta descriptions, headings, redirects and more. You’ll also need to connect Google Analytics data, Google Search Console data, or similar information from another tool. You can connect these tools to your crawler or extract it yourself and add it to your spreadsheet. With your web crawl completed, export it to a spreadsheet. The spreadsheet you use will determine how to do a website content audit that’s most useful for you. Download an existing website content audit template, or create your own to target your unique Key Performance Indicators (KPIs). It’s helpful here to delete blank columns, extra URIs, or performance metrics that aren’t useful. In order to know how to do a website content audit, you must have actions in mind. Assess the pages in your audit based on your goals. Based on your best-performing pages or your site average and your target KPIs, which pages are significantly below par? Be careful to use realistic judgements, or you could remove too many pages and inadvertently harm your site performance. Remove: The page serves no purpose, is irrelevant, or far below a performance metric. Edit: The page isn’t performing well, but it can be fixed. Consider: The page could perform better with some changes, but the changes should be carefully considered. Keep: The page performs well, it shouldn’t be changed. Low SERP position: Target long-tail keywords and generate backlinks. High bounce rates: Add more relevant content, check load times, address any technical issues. Low conversion rates: Add relevant and compelling CTAs. Outdated Content: Combine the information with a relevant, recent post and use a redirect. Duplicate Content: Write new, original content with targeted keywords. Low engagement: Add social sharing buttons, make the content shorter, or add more engaging content, like videos or pictures. Low performing, high functionality content (ex. Login pages): block page from web crawlers to stop negative SEO effects. Irrelevant content: remove it and use a redirect or error message. How to do a website content audit with the right amount of change can be tricky. Before making changes or removing pages, make sure you know how much traffic you could be losing or other metrics that could be affected. You might start small and remove only the most problematic pages, and expand your audit accordingly. Knowing how to do a website content audit effectively is about knowing what data to exclude as much as include. Set realistic goals and allocate time that makes sense with your expected ROI. Remember, you can always make more changes later, but you can’t get your time back once it’s spent.